Google Wallet is the mobile payment app that's so close and yet so far. Were it not for its limitations on the Android side, it would be a strong contender for "Best App that Isn't Venmo." 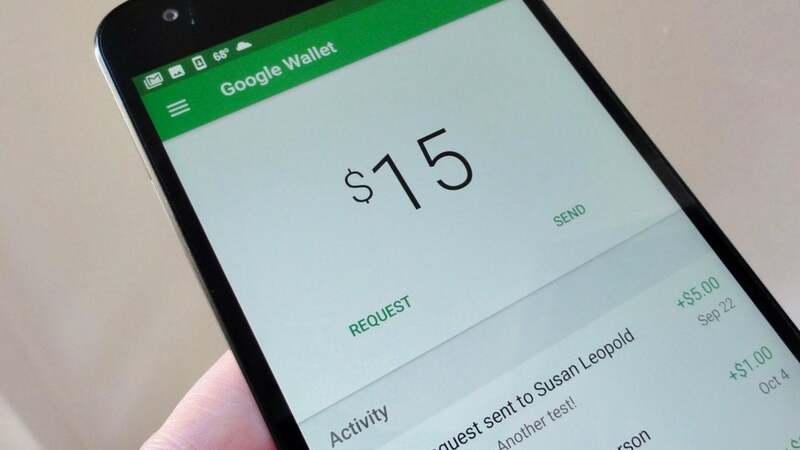 Boasting a simple interface, robust bill splitting abilities—well, for iOS users, anyway—and ability to send or receive cash from virtually anyone, Google Wallet checks most of the boxes when it comes to peer-to-peer payments, although we wish it would let you use a credit card rather than just debit cards. Google may be a hot company, but its Wallet app faces stiff competition. Check out the other mobile payment apps we reviewed. Getting started with Google Wallet is relatively painless, particularly if you've already got a Google account. Once you sign in, the Google Wallet app will add any payment methods you've already enabled through your Google account. Your Google contacts are also available directly through the app. The Google Wallet app will let you add multiple debit cards or bank accounts, and you can pick a default payment method where any funds you receive will be automatically deposited. Unfortunately, you can't use credit cards with Google Wallet when sending or receiving money from friends (although, confusingly, any credit cards you've previously used with Google may be listed among your Google Wallet payment methods). That's a problem for those who like being able to dispute fraudulent charges with their credit card company. Google Wallet's interface looks similar to those of the other basic money-sending apps in our roundup. There's a big "$0" in the middle, which you can tap to edit the amount of cash you want to send or request. Below the dollar amount, Android users will find two buttons—Send and Request—while iOS users will see a third button, Split. 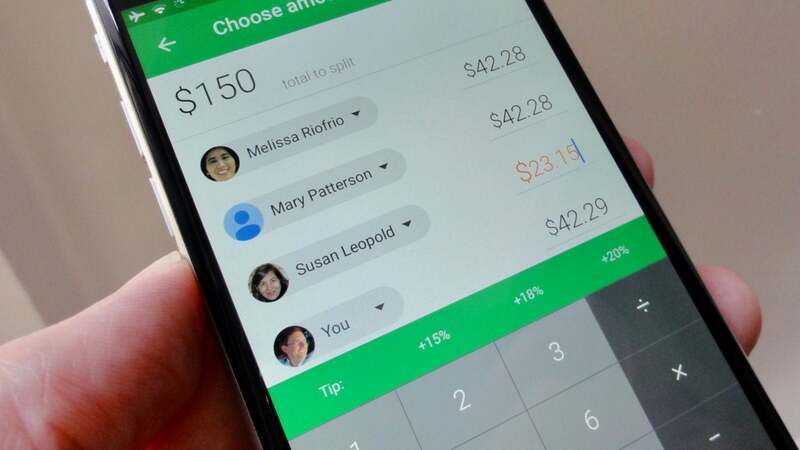 Google Wallet's simple main interface lets you tap in an amount, then tap Send or Request; note the lack of a "Split" button in the Android version of the app. If you tap Split, you'll instantly jump to your contact list, where you can tap up to five friends with whom you'd like to split the bill. Next, you'll get a list of the friends you've picked with amounts next to their names. You can edit either the total amount of the bill or the individual amounts for your friends. Your own share is helpfully included in the list, and you can double, triple or even quadruple the share of a friend who's paying for more than one person. 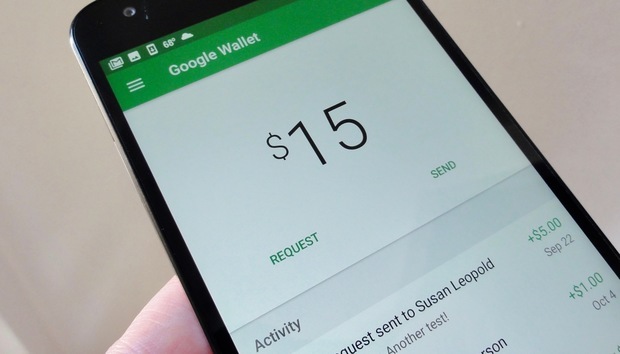 Overall, Google Wallet's split feature is the best of any money-sharing app we reviewed. For now, though, Android users are missing out on splitting checks with Google Wallet. Hopefully, a future update of Google Wallet for Android will add the ability to split checks (and indeed, it appears the feature may be on its way to Android users soon). On the iOS side, Google Wallet boasts the most robust check-splitting tool we've seen on a P2P payment app. Happily, Google Wallet lets you send money to anyone, including those who don't have Google accounts, and you don't need to set up a Google Wallet account to pay up or receive money. There are no fees to send or receive money through Google Wallet, but keep in mind that the app only lets you use debit cards and bank accounts; no credit cards allowed. Google Wallet lets you send up to $9,999 in a single transaction, or up to $10,000 every seven days. In Florida, you can send up to $3,000 every 24 hours. Google Wallet also has a distinctive trick: You can send or request cash directly in Gmail for Android using Google Wallet. 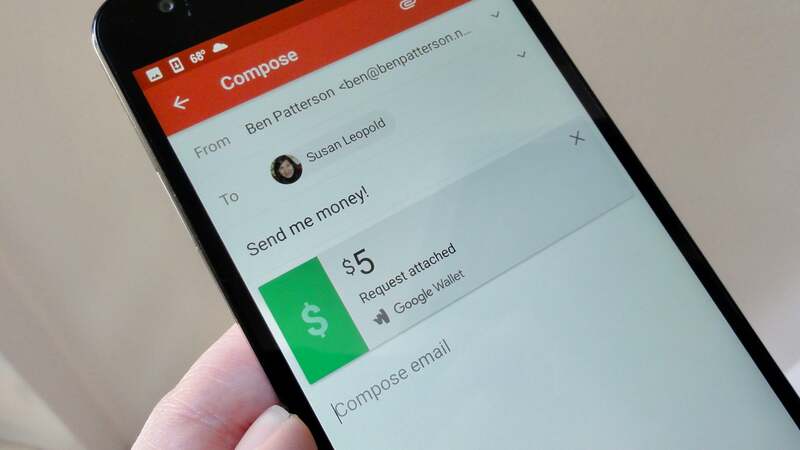 Within a Gmail message, just tap the Attach button, then tap Send Money or Request Money. If you're using Gmail for Android, you can easily attach a Google Wallet payment or money request as an attachment. You can set Google Wallet to require a PIN or touch ID to open the app. As with other money-sending apps in our roundup, Google Wallet transactions can't be refunded once they're claimed, although you can report suspicious or fraudulent activity to Google within 120 days. Google Wallet ranks right up there with Square Cash when it comes to sending and requesting cash from the non-Venmo crowd, but we wish its check-splitting features would come to Android, and we're also bummed that it won't let you use a credit card.